Fun puzzle game for the whole family. Move the blocks around to make them all green. Now, can you do it in the least number of moves? Challenge yourself with 80 original levels in 4 unique level packs. As you progress through the game, levels become incrementally harder and new block types are revealed. Simple to play, but tricky to master. Fun puzzle game for the whole family. Move the blocks around to make them all green. Now, can you do it in the least number of moves? Challenge yourself with 80 original levels in 4 unique level packs. 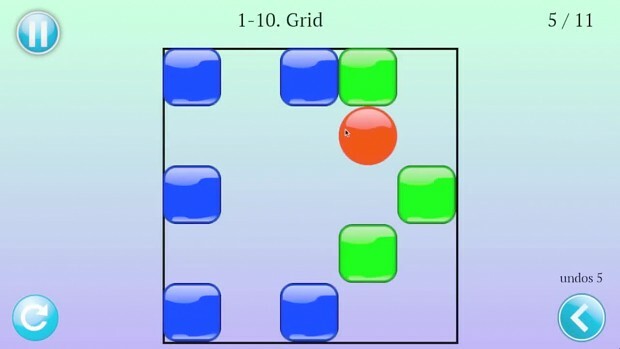 As you progress through the game, levels become incrementally harder and new block types are revealed. Simple to play, but tricky to master.